As the season shifts to spring, pests awaken from their overwintering sites. Their top priorities, water, and food, both of which are plentiful in your home. Limit the annoyance and potential damage in and around your house with a couple of tips you should follow on how to prevent pests. The kitchen can be one of the most popular spots for pests and bugs. Any food left out on the counter, or food waste in your trash, will attract flies or other critters. To stop them from even becoming noticed, you should be cleaning up your kitchen by wiping counters, sweeping up crumbs, and clearing away spills as soon as they happen. Store and secure your food correctly. Tiny pests could infiltrate even the most tightly sealed packaging. By storing your items in containers with a proper seal, you can keep your food safe to eat while also cutting back on the bugs. Your garbage can also is a host to many delicious treats for household bugs. Old fruit, poultry carcasses, or any other unfinished meals sit there waiting to be the next meal. By keeping a lid on your trash, you can limit the pests in your kitchen. Take out the garbage regularly, and keep your garbage containers clean by wiping down the receptacle once a month. The great outdoors is the natural habitat for many pests and creatures, but you can stop them all from making your backyard their new home. Standing water can be a breeding ground for mosquitoes, as well as being a source of drinking water for numerous rodents. The foliage around the house will also attract bugs. Trees, bushes, shrubs, and flower beds that are near your home can also provide an entry point for bugs, but by trimming back, the foliage can reduce that risk. Inspect the outside of your home for other possible entry points for bugs or critters. Seal small cracks and crevices with caulk and use steel wool to fill larger gaps. Rips or tears in screens or openings in your chimney or attic should be repaired as soon as possible to also stop unwanted creatures from making your home their home. Stopping pests from entering your home can be an easy task if you know the right tips to prevent pests. The real challenge comes when those pests have made themselves comfortable in your house. If an infestation is found, you need to call Van Den Berge Pest Control at 616-392-7367. 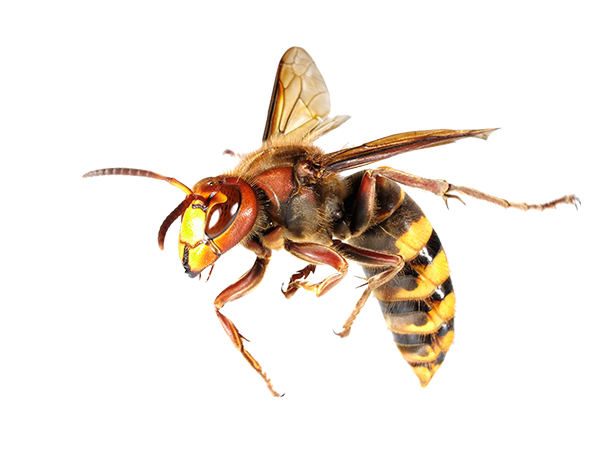 Trust the locally owned, widely renowned experts at Van Den Berge Pest Control for all of your pest needs. With over 100 years of combined experience throughout the Holland, MI-based pest control team, you know you’re in good hands with our state-certified experts.